fast SurveyMonkey Audience consumer panel. Track evolving perceptions of your brand as you work to delight customers and establish brand loyalty. Sales rise or fall, but can you tell why? Brand tracking helps you monitor consumer sentiment closely. With our global panel, you can keep track of your brand’s key metrics in over 100 countries and see results in minutes. Why is tracking crucial for your brand strategy? Advertising campaigns are costly. Brand awareness surveys are a fast and on-budget way to check their impact. Surveys help you know whether consumers have warm, fuzzy feelings for your brand, or are turning cooler toward it. New competitors enter the field. Consumers change their views. Brand loyalty surveys help you check the pulse of the market. Run a brand attributes survey to detect any changes in the public perception of your brand. Surveys can answer your questions at all stages of the brand conversion funnel. Send repeat surveys to consumers in your target market, stay within your budget, and detect trends over months and years. Have consumers heard of your brand? How well do consumers know your brand? Have they used it? What attributes do consumers associate with your brand? Do consumers like your brand more or less than your rivals? Is your brand in consumers' consideration set? What brand would be consumers' top choice? Do consumers in your category switch brands a lot? Are consumers willing to recommend your brand to others? Our global panel is the most precise way to access your ideal sample. 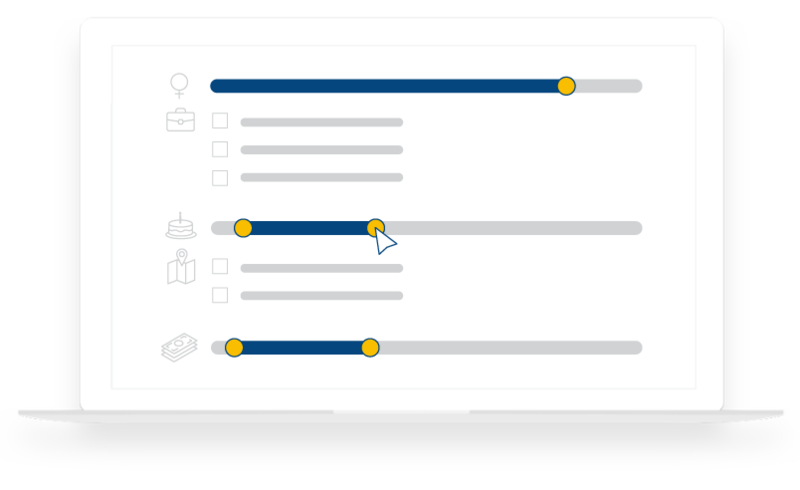 Use targeting options, custom screening questions, and more to find consumers in any group. Conduct brand tracking studies more often than ever with our fast, cost-effective solution. Monitor your brand’s perception before, during, and after campaigns to measure impact. Our panelists cannot take the same survey twice in a 100-day period, which guarantees your unaided brand awareness results are reliable. Use our Analyze tool to filter and compare results. Export data into statistical software for powerful analytics. Select your target audience by demographics, consumer behavior, geography, and more. Launch projects automatically and on your schedule. Monitor them 24/7. Watch your results start rolling in minutes after launch. And start making decisions fast! Keep the pulse on your brand awareness, loyalty, and more with fast responses from your target market. Get crucial consumer insights–like attitudes, perceptions and shopping habits–by surveying your market. Be a master at product innovation by testing concepts early on in your development process. Ultra-fast ad testing helps you ensure that your campaigns are right on target before you launch.